CALGARY, June 27, 2018 /CNW/ – Cequence Energy Ltd. (TSX: CQE) (“Cequence” or the “Company”) is pleased to provide the results from its annual meeting of shareholders held June 27, 2018 in Calgary (the “Meeting”). A total of 69,956,955 common shares of the Company, representing approximately 28.49% of the issued and outstanding common shares, were represented in person or by proxy at the meeting. Mr. Francesco Mele chose to not stand for re-election as a director of the Company earlier this year. The Company would like to take this opportunity to thank Mr. Mele for his service as director of the Company and wishes him all the best in his future endeavours. Cequence’s shareholders also re-appointed Deloitte LLP as the Company’s auditors for the ensuing year. 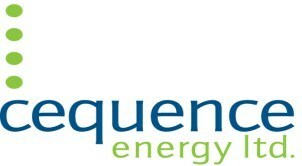 Please visit Cequence’s website at http://www.cequence-energy.com/index.php?page=presentations to access the URL for the presentation that the Company’s management presented at the Meeting.